Consulting a psychotherapist shouldn't be for the select or distressed few; therapy should be for everybody. There shouldn't be a taboo around seeking help for when you feel stuck in a rut, anxious about your relationships or simply unsure about what’s going on in your life. 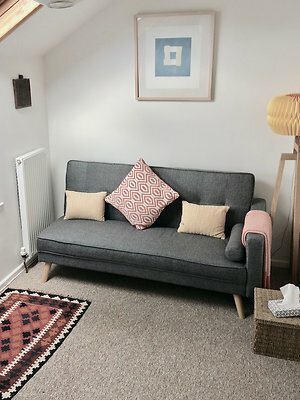 My name is Marie Dixon and I am a psychoanalytical psychotherapist based in St Ives, West Cornwall and whatever the reason you find yourself thinking about therapy, welcome. I have a broad range and many years of experience of working with people in emotional distress here in Cornwall. I endeavour to offer a psychotherapy rooted in everyday life with all its 21st Century complexity. Psychotherapy seeks to address the underlying causes, the hows and whys of our troubles: How we can sometimes make the same mistakes; why things seem to happen to us time and again or how our lives might feel meaningless and empty. Thinking about the way we understand ourselves and live our lives equips us better to cope with the uncertainty of life. It can help us to move on from feeling ‘stuck’ in a cycle of repetition and regain meaning. It’s a longer term approach that seeks to give language to our suffering and in turn build self-knowledge for the immense complexities that make up our lives. Psychotherapy can be a tough and unsettling process at times but ultimately an enriching experience. My training is as a psychoanalytical psychotherapist which, put simply, means that through allowing yourself the time and space to unfold, together we can think about the difficulties you are experiencing . It offers a safe and confidential space to speak freely and think about not only the conscious but also unconscious processes that affect how we make decisions and act. Therapy offers the time and space to consider how contemporary life can impact and compound our suffering. A place where we can set about tracing and untangling some of the threads that are woven into the fabric of our lives . 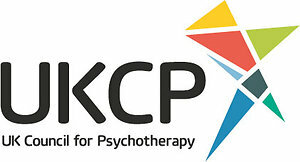 I am a registered member and abide by the code of ethics of both The Site for Contemporary Psychoanalysis and the United Kingdom Council for Psychotherapists UKCP. There is no prescribed limit on how many sessions you attend or how often you come. In part this will depend if you want to address a specific issue for a limited amount of sessions or if you would rather decide as the work unfolds. For many people weekly sessions are good but for others twice weekly is better. This is something we can discuss in our initial session.